Halloween is a holiday celebrated on the night of October 31st in many countries around the world, especially Australia, Canada, Ireland, New Zealand, the United Kingdom, and the United States. The holiday traces its roots to the ancient Celtic festival of Samhain, sometimes known as the "Celtic New Year", and is associated with ghosts, witches, black cats, pumpkins, costumes, masks, and children being given sweets ("trick-or-treating"). 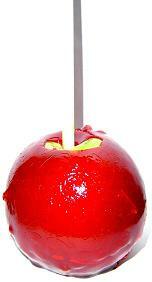 Candy apple (also known as "toffee apple") - This is an apple on a stick with a hard sugar candy coating, usually made from cooled sugar syrup and colored red. 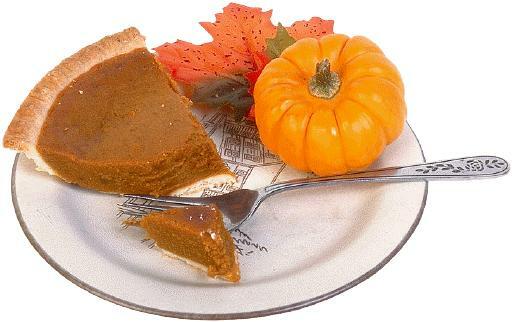 Pumpkin pie - This dessert is most often eaten in North America on Halloween, Thanksgiving, and at Christmas. It is made from a pie crust which is filled with a pumpkin-based custard. The custard is flavored using spices such as cinnamon, cloves and ginger. Over 50 recipes with photos: How would you like a Halloween Recipes eBook packed with over 50 recipes AND photos? Our simple yet knock-out Halloween recipes are unfailingly delicious...and spooky to boot... Plus 3 bonus eBooks - Halloween Crafts eBook, Halloween Drawings eBook, and Halloween Printable Games eBook.